I’ve been searching around for a few examples of the entitlement culture that dominates Northern Ireland’s political life for a few weeks now. Partly because you hear things said that you never see written but partly because since starting CfL in Northern Ireland we’ve wanted to define exactly what we mean by ‘entitlement culture’. 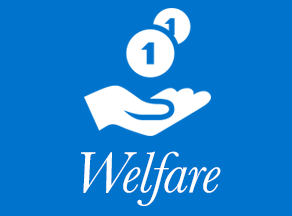 There are two specific elements that contribute to our entitlement problem – the prevailing approach to our welfare state, which has bred a culture of dependency, and the attitude to public funding, which has ensured that there is ‘no such thing as a big society’ here. Now I must admit a slight interest here. At one stage I played Gaelic Games. My sister still does. We sometimes go and watch Down play football. It’s part of what we are and a customary reaction in this part of the world would be to launch into a tirade about how the GAA and bands cannot possibly be in any way compared. Any band member would do the same if it was the other way round. However, another member of CfL NI was once in a band and we’ve agreed to take the equivalence at face value, not just for the sake of destroying Stephen Cooper’s argument but also because we agree that both traditions are outward expressions of the cultures we just happened to have been born into. Even if there are subtle differences. We also both agree that neither the GAA nor the band movement should receive any sort of public funding whatsoever. We both believe that what people do in their spare time is their choice and that the taxpayer shouldn’t be funding what are effectively hobbies. The moral wrongs and rights of subsidising taste aside, Cooper seems to argue that the Northern Irish economy receives an economic boost from parading. No doubt he believes the same is true of the GAA. Sure, people who go to both tend to buy things. Chips, flags, beer and ice cream for the most part. Also there is considerable money spent by the participants themselves. At £400-odd for a drum, many are purchased through donations. But does he really believe that we wouldn’t be spending our money elsewhere if it were not for the bread and circuses? Mentioning the broken window fallacy in a Northern Ireland context is always risky but the same economic argument applies. It’s widely believed that a broken window is an economic godsend because it creates work for a glazier. But what it actually does is ensure that the victim of the broken window has to spend his money having his window fixed, rather than spend his money on things he actually wants or on things with a higher value. And that means someone has lost the work the glazier has won. Without band parades or football games to go to we would still be spending or investing our money. We wouldn’t be keeping it under our beds (which is, ultimately, the only place where money is ‘hoarded’). The £55 million he quotes doesn’t come out of nowhere suddenly every summer – it’s money that already exists in the economy and putting a value on it doesn’t make this any less true. Importantly though, Cooper’s comments do a lot to lift the lid on the ‘they get everything, we get nothing’ mentality that has permeated its way into this society over the years but has become particularly marked since the commencement of the peace process. Begging for public funds to curry favour with the electorate is nothing new in any part of the United Kingdom. Yet here it’s everyone and it’s all the time. And it makes no moral or economic sense.